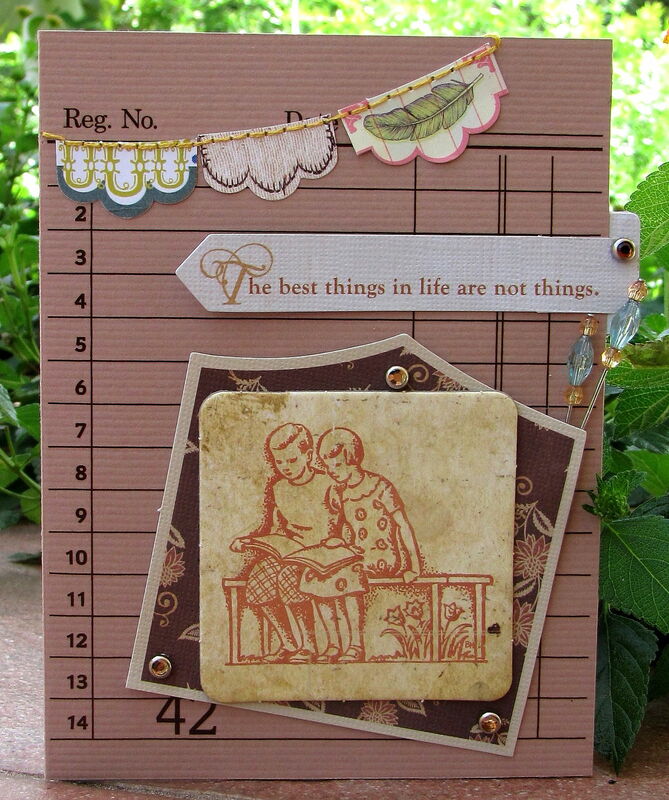 Only 4 more resolutions to complete before the end of Let's Scrap's Blog Hop!!!! I think I can make it, keeping my fingers crossed! I have a few things to share with you today, the first one is the LO I made for this week's sketch at Let's Scrap. I wanted to enter it in the Sassafras Project Challenge at Two Peas, so it's made with paper from their Apple Jack and Count me in collections. I've also made two cards for Resolutions #7 and #6 in the Blog Hop (I'm doing a countdown, and #5 was my challenge, so that one's already completed!). While I was taking pictures of this card, under the mango tree (love the light there in the morning) I saw someone spying on me and finally captured him on camera (been trying for some time with no success). I have to say he doesn't look so threatening in person as he does in the pic. It probably has to do with the fact that he is only a few inches tall, just a baby! Hi Caroline; I just wanted you to know that I made your Resolution, and didn't open anything, and also that the gift with all the papers that I got for my first participation on Let's SCrap has arrived!! I'm just going to look at them for a while before using them... Thank you so much!!! Oh; and your LO with all the beautiful children is amazing!